Stop your little climber from getting to places that are not safe! 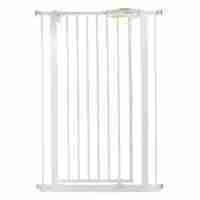 Our Q-Fix Extra Tall Gate is 110cm tall, constructed from durable steel and secured easily with pressure fit mounts the Venture Q-Fix safety gate keeps your little one safe and sound at all times. It?s squeeze and pullback handle and wide walk through design, make this gate a convenient and practical choice! 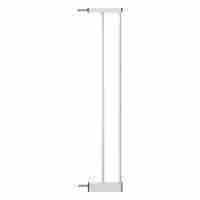 This safety gate boasts a steel construction for durability and strength, providing security you can rely on for those moments when you can’t be within arm’s reach of your child. 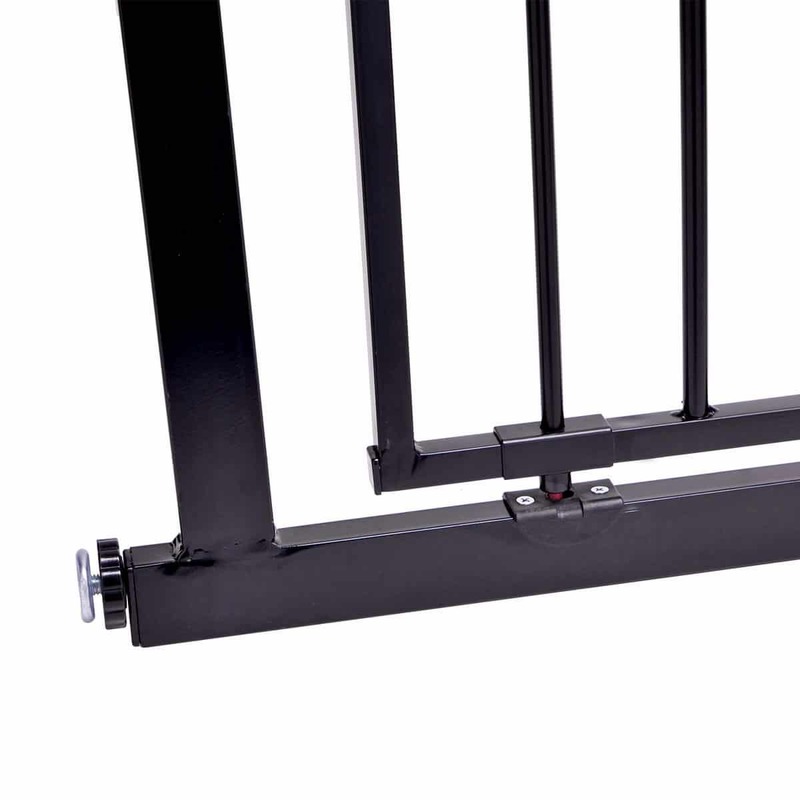 It can be installed quickly with four pressure mounts that are each individually adjustable to provide a stable, secure fit no matter the size of the gap. 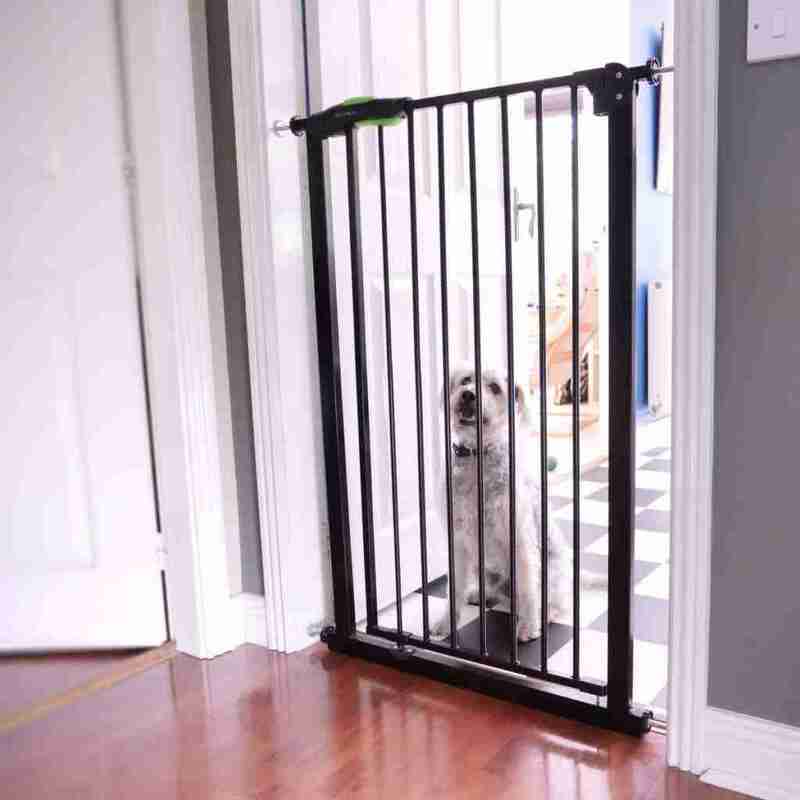 The extra height and strength of our Venture Q-Fix Safety gates make them a fantastic option for pet owners, even large dogs can be kept at bay thanks to its 110cm tall frame. And for smaller animals and small dogs the bars are narrow enough to keep them from slipping through yet wide enough for them to see you through the bars. 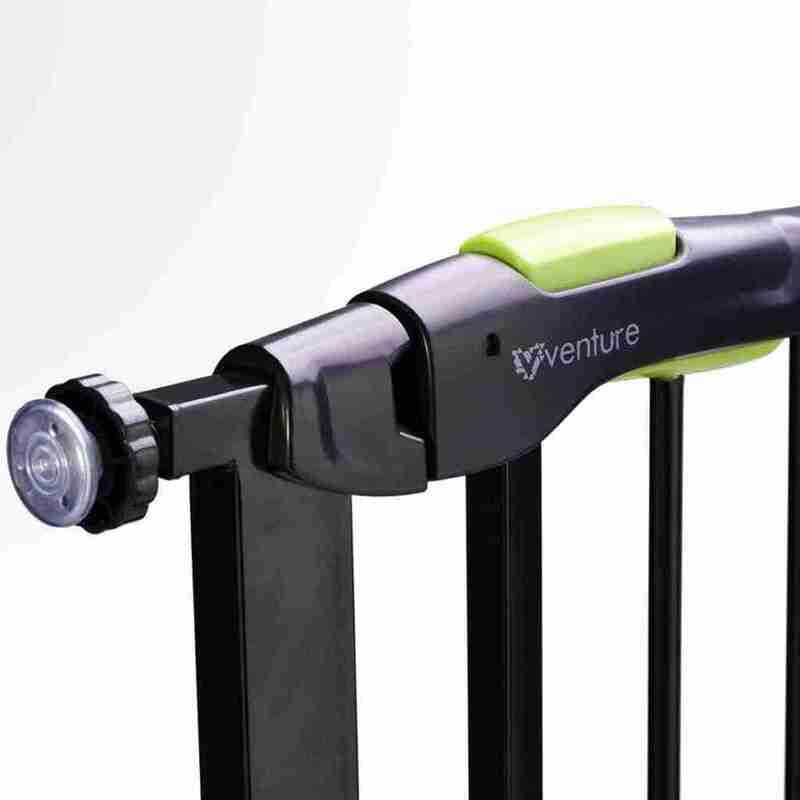 The Venture Q-Fix Extra Tall Safety gate is full innovative ideas to make it easier and better to operate than most standard child safety gates. 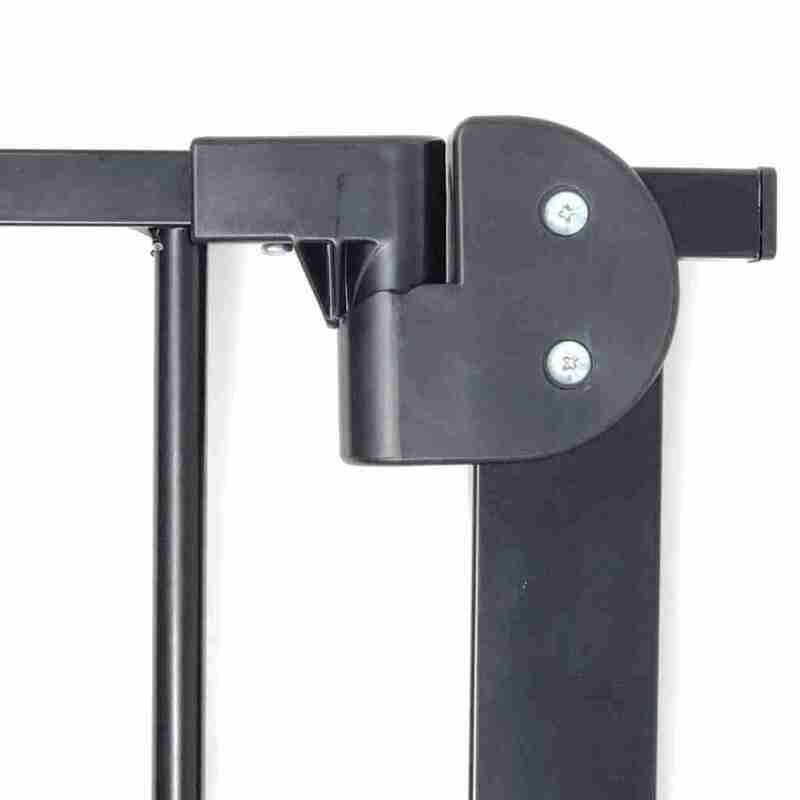 One key feature is the dual action operation of the gates handle. 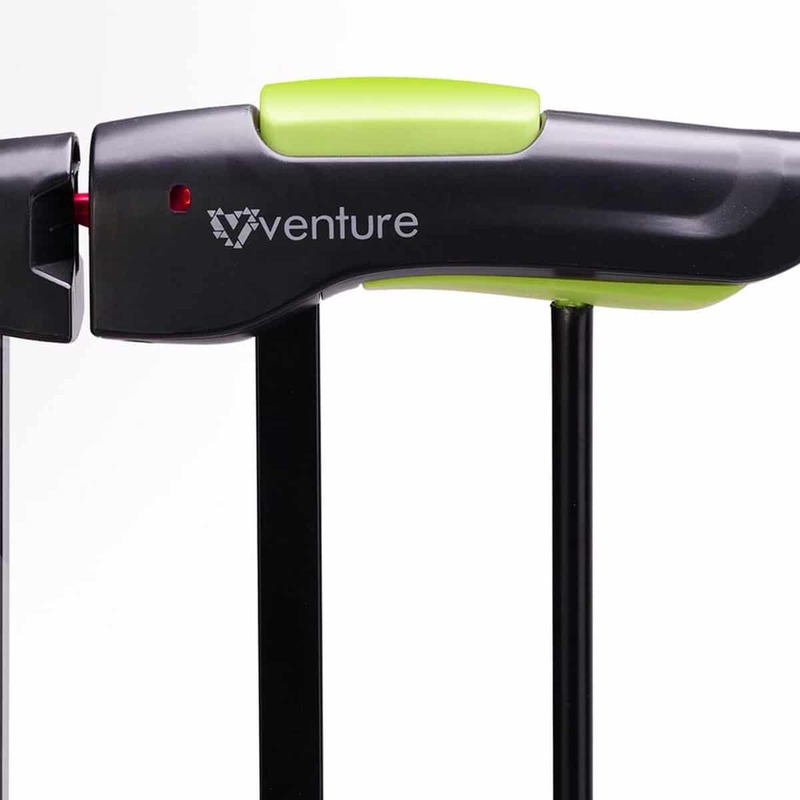 By pushing down the top button you activate the release mechanism, simply follow that up by pulling up the lower lever and the gate is released.